Not since India’s first Prime Minister Jawaharlal Nehru travelled across Russia and a total of five Soviet Republics in a grand official sweep 60 years ago, has another Indian PM attempted something similar. Nehru’s visit spread over weeks, but Narendra Modi visits six countries in eight days. Indian Prime Minister Narendra Modi Narendra Modi is visiting five Central Asian Republics (CAR – ‘stans’), beginning with Uzbekistan and Kazakhstan, from where he travels to Ufa in Russia for the BRICS and SCO summits, before going on to Turkmenistan, Kyrgyzstan and Tajikistan. “I will be in Kazakhstan, the largest of the central Asian Nations, on 7th and 8th July. This will be my second stop (after Tashkent in Uzbekistan) during my visit to Central Asia. Kazakhstan is India’s largest trading partner in Central Asia and has been a valued friend of India at various international forums. 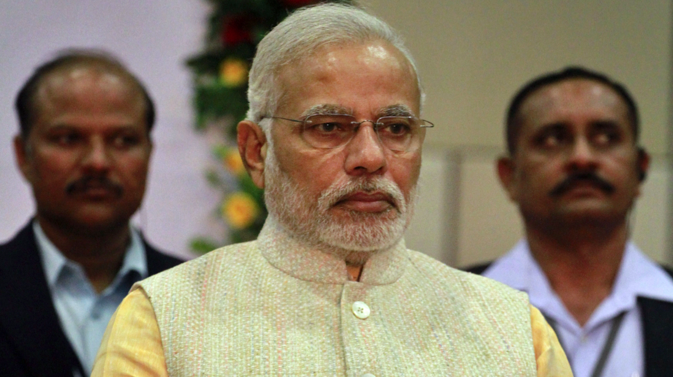 India and Kazakhstan have a strategic partnership,” Modi said in a statement. He will be on an eight-day tour from July 6, returning to India on July 13. Deciding to visit the five CARs in one swathe, Modi has indicated that he will refocus government’s energies on a region where critically important strategic and economic interests are the main drivers shaping Indian policies. Modi’s visit is intended to renew traditional, cultural and civilizational ties with these former Soviet republics, which India terms as its ‘extended neighbourhood,’ build connectivity, and assert its presence in the face of China’s ever-expanding influence. With NATO forces leaving Afghanistan, the CARs, three of which share long borders with Afghanistan, become more vitally important. “The Prime Minister’s initiative (to visit 5 CARs) is an extremely good one,” said Sergei Karmalito, senior Counsellor at the Russian embassy. “With the USA leaving Afghanistan, there have been suggestions for the RIC (Russia, India and China) to step in to stabilise that country,” he said. “The CARs are also important for the North-South transport corridor,” Karmalito said. “The INSTC (International North South Transport Corridor- a ship, rail, and road route for moving freight between India, Russia, Iran, Europe and Central Asia) is targeting Bandar Abbas, from Bandar Abbas up to the Caspian, and through the Caspian to Russia,” said Navtej Sarna, Secretary in the Ministry of External Affairs. “So, there are various things happening. Somewhere you are missing a rail link, somewhere you are missing a road link, somewhere you are getting a positive development. Recently the Kazakhstan-Turkmenistan-Iran rail link was inaugurated,” and this is good news for India, said Sarna, adding that India would be stepping up its pace of work at the Chabahar port in Iran, to act as a transit point for Central Asia. India’s interests in Eurasia are fundamentally strategic, said Sarna. Instability in any of these countries could make them a haven for terrorists like ISIS, Taliban and Al-Qaeda, other separatists and fundamentalists. Talks during Modi’s visit would focus on terrorism, which is a common concern in all five CARs, and tackling the rising influence of terror groups like the Islamic State. Over 1,500 youth from the region are reported to have joined the jihadist organization and are fighting in Syria and Iraq. The five countries, which follow moderate Islam and are secular in nature, are concerned about the spread of the Islamic State’s influence among its youth. Since the USSR collapsed, India has tried to establish independent linkages with all the states, particularly the CARs, but has not been able to develop meaningful economic and people-to-people linkages primarily for lack of easy and reliable connectivity. India outlined a ‘Connect Central Asia’ policy three years ago, but did not get far. “Prime Minister Modi’s visit to Central Asia is a landmark event to revitalize our ancient links with the region. CII estimates that trade with the five Central Asian countries of Kazakhstan, Turkmenistan, Tajikistan, Uzbekistan and Kyrgyzstan can multiply manifold from the small base of $1.4 billion currently,” said Chandrajit Banerjee, Director General, Confederation of Indian Industry (CII). According to CII, major areas of opportunity for India in Central Asia include oil and gas, minerals and metals, agricultural products, pharmaceuticals, textiles and chemicals. The services sectors are an untapped potential between the two sides, including sectors such as Information Technology, education and skill development, and tourism. A high-level business delegation, representing sectors such as construction, pharmaceuticals, mining, banking, power transmission and IT is accompanying the Indian Prime Minister to Kazakhstan. Modi’s visit would re-engage with the resource-rich, land-locked countries that India has not managed to really engage with but where China has fast spread its reach through major infrastructure projects, like pipelines, and with unfolding plans like the ‘One Belt, One Road’ linkage project. The five countries are part of the old ‘Silk Road’, the ancient trade route through which not only silks and spices were ferried but was also a pathway for exchange of ideas, art, architecture and spiritual beliefs, like Buddhism. According to Ashok Sajjanhar, former Indian Ambassador to Kazakhstan, Moscow is now taking determined steps to regain its predominant influence in the CARs. “A Russia-dominated Eurasian Economic Union including Kazakhstan and Kyrgyzstan has been set up; Tajikistan too may join it. India is looking to be part of this initiative too. Economic relations will look up if India signs a Free Trade Agreement with the EEU”, Sajjanhar said. “After the BRICS Summit, I will reach Turkmenistan on 11th July,” PM Modi said. The $10 billion TAPI gas pipeline project would top his agenda during his visit to Ashgabat. The Turkmenistan-Afghanistan-Pakistan-India (TAPI) gas pipeline is expected to bring Turkmen natural gas from its giant Dauletabad and Galkynysh gas fields to India. The legal framework for the pipeline project would be finalized by September, then consortiums will be announced. The project is expected to take off in December, said Parakhat H. Durdyev, Turkmen Ambassador to India. “The fourth Central Asian country that I will visit will be Kyrgyzstan”, said Modi. Both Kyrgyzstan and Tajikistan are keen to have India on board the CASA 1000 project, under which the hydropower energy of the two countries can be tapped. Both countries are rich in water cascading from the mountain ranges, said Samargiul Adamkulova, Ambassador of the Kyrgyz Republic to India. India has some defence linkages with Tajikistan, last stop on Modi’s itinerary. “We have a strategic partnership with Tajikistan and have very strong defence cooperation as well,” said Modi. He will gift medicines for the India-Tajikistan Friendship Hospital, said Tajik Ambassador to India Mirzosharif Jalolov. Some agreements to boost economic and cultural cooperation will also be signed.